Single level townhouse-style condo with 3 bedrooms and 2 baths. Upgraded kitchen cabinets and fresh paint, as well as updated master bathroom, this home is move-in ready! 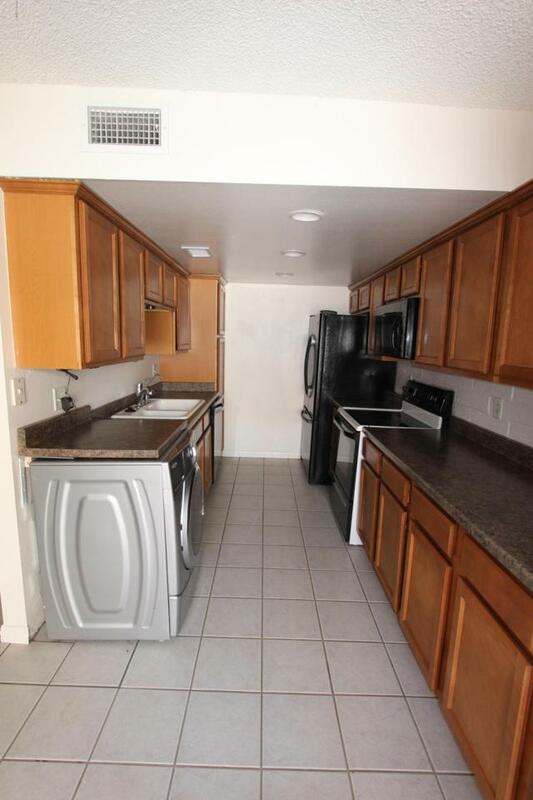 This unit comes with its own washer and dryer! This home features a covered carport and outdoor storage as well as a block-fenced patio for privacy! 150.00 OF THE CLEANING DEPOSIT IS NON-REFUNDABLE. THERE IS A $150.00 NON-REFUNDABLE ADMINISTRATION FEE DUE W/FIRST MONTH'S RENT. PET DEPOSIT IS PER PET. ACTUAL DEPOSIT RATES MAY VARY BASED ON YOUR INDIVIDUAL/COMBINED RENTAL PROFILE.